These renderings depict the view from Southeast of the future Woodlawn Residential Commons. Richard Mason, Assistant Vice President for Campus and Student Life and associate dean in the College, shared details regarding the recently announced Woodlawn Residential Commons dorm and the future of undergraduate housing in a phone call with The Maroon. Mason spoke about the jobs that operating the new commons would create, clarified that there would be no retail stores, and elaborated on the partnership for capital and facility management with Capstone Development Partners, a real estate development firm focused on student housing. He also spoke about the University’s vision for housing. Mason confirmed that International House would remain undergraduate housing. Mason said that Woodlawn Commons will contain a mix of singles, doubles, and apartments in “very similar proportions” to Campus North. North has 48 apartments and 252 single rooms—including those in use by Housing staff such as the resident deans and resident heads—in eight houses. “I think when we have a building that's as successful as we have in Campus North—that was really built on a program that we worked extensively with students to really understand the things that they most cherished about their housing experience—we really look to replicate what has been a successful model,” Mason said. He also commented on previous speculation that there may be two new dorms planned for construction south of the Midway. While Mason stated that there are currently only plans for one residence hall, Woodlawn Residential Commons, it will consist of two distinct sections, much like the East and West halls of Campus North. The schematics for Woodlawn Commons have not been finalized yet, preventing Mason from commenting further on building plans, aside from the 2020 scheduled opening and that they have begun going through city and university processes for the approval of a new building. Housing prices at the new dorm will match other those of other housing options on campus. “The desire is, in all aspects of what we're doing, that this will look and feel like every other part of our college residence halls,” Mason said. Mason expects Bon Appétit will hire 50–60 new staff for the new dining hall. According to a University spokesperson, Capstone Development Partners will have the autonomy to hire maintenance staff, although the vast majority will be union members. Mason also mentioned that Capstone will aim to hire staff from the surrounding community. The dining hall staff employed by Bon Appétit and the residence hall desk staff are part of Teamsters Local 743, while the residence hall building engineers are with Service Employees International Union (SEIU) Local 73. Mason stated that no retail spaces were currently planned at Woodlawn Commons, unlike Campus North. He cited a locale difference between the busier, retail-oriented 55th street near Campus North, compared to the more residential 61st street. “55th is a very different street to 61st, and wanting to be respectful of the community’s needs around traffic and the noise, and those sorts of things, no, there are not retail plans at this point,” he said. When asked to further elaborate on Housing’s criteria for “success,” Mason said that their idea was based on the students’ overall experience, their satisfaction as measured by surveys and comments, and the University’s observations. “The definition of [the Housing] program has been very consistent over the years, and that's because of its success in creating community…It’s important that we create strong communities that help bring people together and allow students to be successful in their academic and other pursuits,” Mason said. 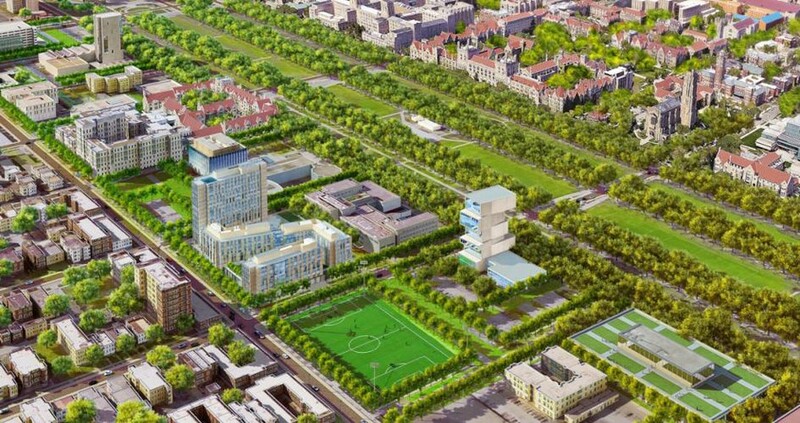 On the subject of development in Woodlawn, Mason referred to a “long-held university desire to create a very active part of campus [south of the Midway].” Mason also noted that they were building on a site that was already University property. “When you think about the history of the University, there’s always been a long-held desire to build on campus south and create, even going back a long time ago now, back to the vision of expanding beyond BJ and creating a South campus quad,” Mason said. “We’re obviously very excited about the opportunity to really contribute to the vibrancy of our campus, and really create that residential campus experience that we think is so critically important for our students,” Mason concluded.